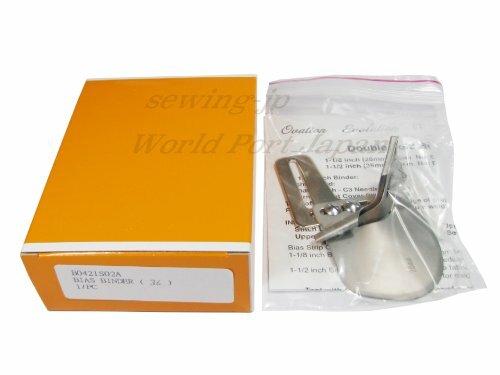 1-1/2 inch Binder: Cut 1-3/8 inch for fine fabrics such as calico, muslin, etc. Cut 1-1/4 inch wide for medium weight fabrics such as trigger, lightweight denim. The following machines are compatible: Ovation (BLES8) , Evolution (BLE8W-2), Sashiko 2 (BLQK2). Can not be used for models other than the above! - The following machines are compatible: Ovation (BLES8) , Evolution (BLE8W-2), Sashiko 2 (BLQK2). - Sew it with four bias tapes around the fabric edge.